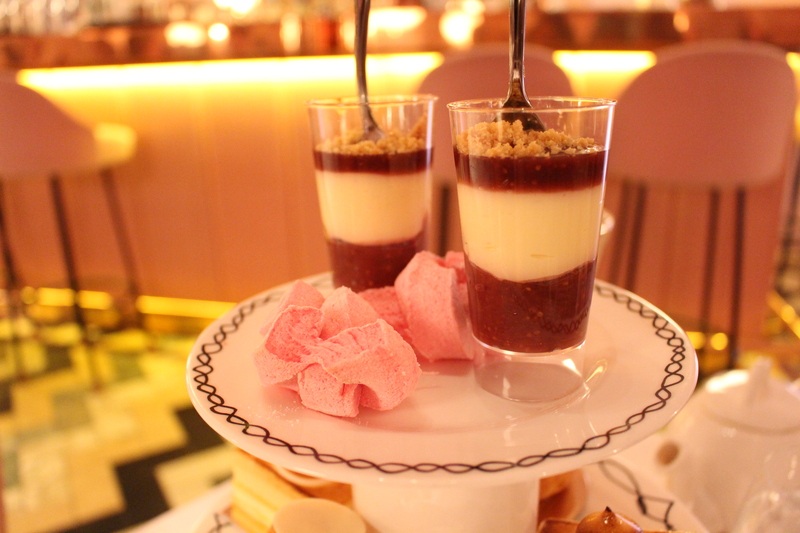 I recently paid a visit to Sketch, a quirky restaurant in Mayfair to indulge in their afternoon tea. Firstly, I want to say a big thank you to Zahra, a good friend whom I adore, for this lovely birthday present. 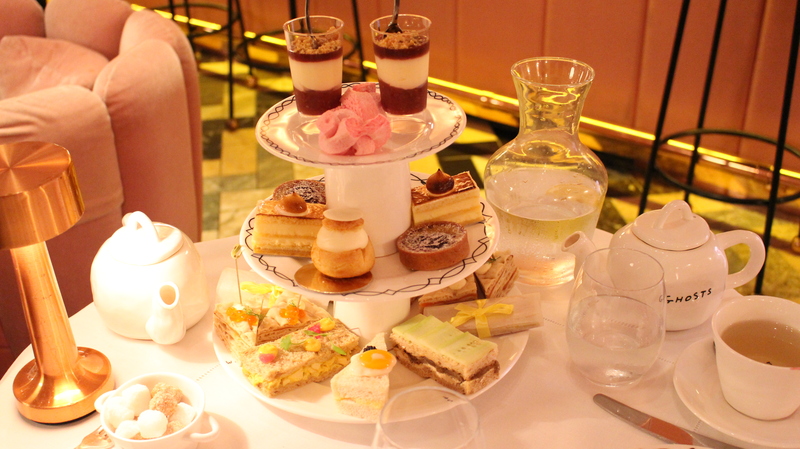 She took me to Sketch London to experience an upscale afternoon tea. If you’re a long time reader of Bumascloset, you will know that I have a ‘to visit’ list of restaurants, and Sketch was number one on the list. Upon entering, the front of house waitress welcomed me with a smile and told me to walk through the glade room to get to the tea room. 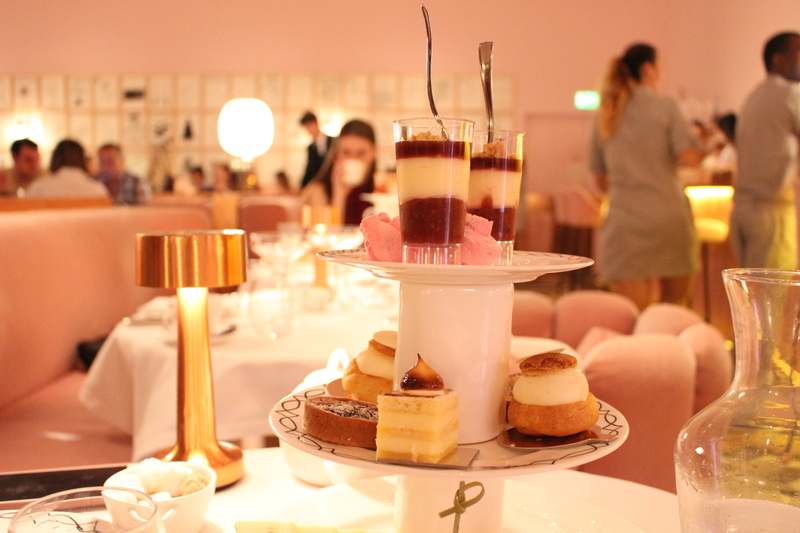 The room was bathed in pink and furnished with scalloped chairs and curvy banquettes upholstered in pink velvet. Over 200 illustrations lined every wall except the bar, which had a pane of shiny rose gold metal. Arriving at the table, Zahra greeted me and told me she was filming something inappropriate. Typical! Before I sat down, a waiter appeared out of nowhere and pulled out my chair for me. I sat down and said thank you. The menu was as fun and eclectic as the restaurant. 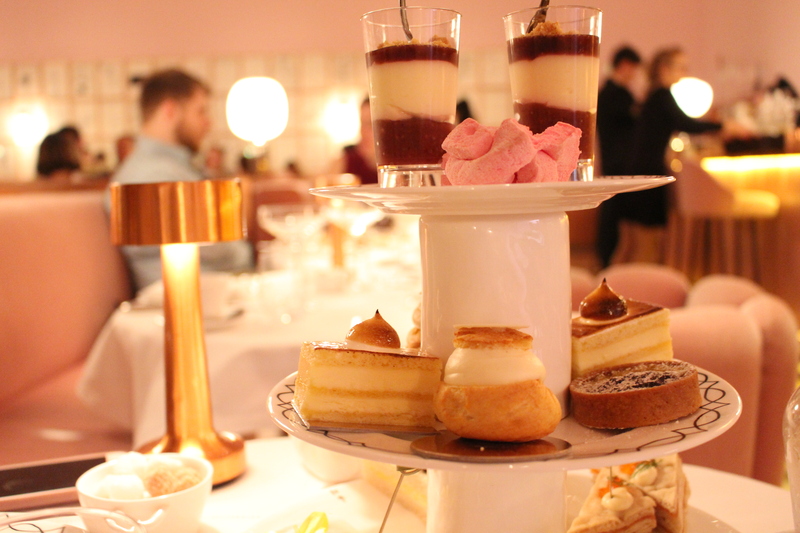 There are two options for afternoon tea: the Sketch afternoon tea and the champagne afternoon tea. We opted for the regular afternoon tea. Our experience commenced with chai tea and rose bud herbal infusion teas. 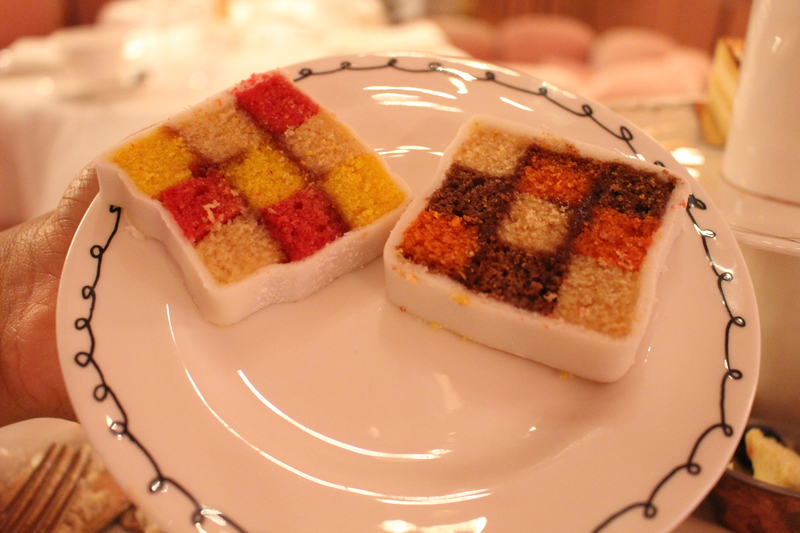 Then, we were served an assortment of finger sandwiches and pastries on an elegant three-tier cake stand, which can be replenished by a waitress at your request. We love the smoked salmon, egg and coronation chicken sandwiches the best. After that we were served a scone, followed by a slice of cake! Our bellies were very full and very happy by the end of our experience. Once we finished eating, we went to the spaceship-esque pod toilets to take photos of my birthday outfit. You have to go check out the toilets if you come to Sketch! The service was first class. The staff were attentive and welcoming. Although it’s an expensive treat, the experience was worth it.